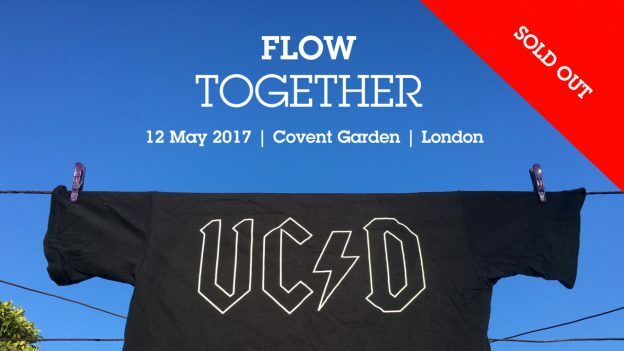 A few people have asked why I’m running FLOW a design, research & strategy conference in London. They say (about New Zealanders) that isolation breeds innovation, but when it comes to inspiration, well, the isolation doesn’t serve us so well. Flash back to the early 90s, when I was lucky enough to live, build boards and surf with two Australian champions, one who went on to become world champ. I was designing surfboards for a living, but off to the side I was learning. In a matter of months I saw my standard of surfing go from pretty good, to a level I never believed I’d ride at. It felt like the years before I’d been wasting my time. 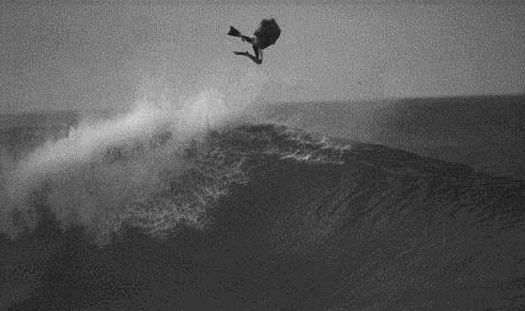 Mike ‘Eppo’, putting my boards to the test at Pipe, Hawaii in ’93. It was one of the two times of my life I’ve knowingly been in a ‘learning by osmosis’ situation. For the other, fast forward to London, a decade or so ago, when I closed the doors on my private design clients to work in ‘usability’. There I was – board-builder turned design generalist – now part of the team at Flow Interactive*. If ever there was a time to get ‘impostor syndrome’, this was it. I was in a petri dish of professional and creative diversity, working with academically trained psychologists, ergonomists and researchers. We were one of a handful of agencies in ‘noughties’ London shaping what soon became UX. Once again I found myself in a sink-or-swim situation, surrounded by supportive, sharing people who helped me keep my grip on a steep learning curve. As it turns out we’d all caught one of the best waves of our careers. Since moving back to NZ, where I can say I’m the only design researcher on my island (South Island) I’ve made an almost annual pilgrimage, to immerse myself back in that environment. It’s a strong reminder how learning, growing is hugely boosted by being surrounded by my tribe. People who challenge me to level up, express or push myself, to ask a better question, to take a fresh viewpoint, to join dots I might not stop to consider. Thanks to all those who’ve signed up to be part of it. *Flow was gobbled up in a series of Aqui-hires by the likes of Deloitte. This entry was posted in UX happenings by Nick.